Preheat the oven on broil. Slice the baguette into 1" thick rounds, lightly brush olive oil on one side of each slice and place on a baking sheet. Broil about 5 minutes until golden brown. Remove and set aside while making the guacamole. Cut each avocado in half, removing the seed and with a spoon scoop out the pulp and place in a bowl. With a fork or potato masher, mash the avocado with the garlic, sauerkraut, lemon juice and sea salt. 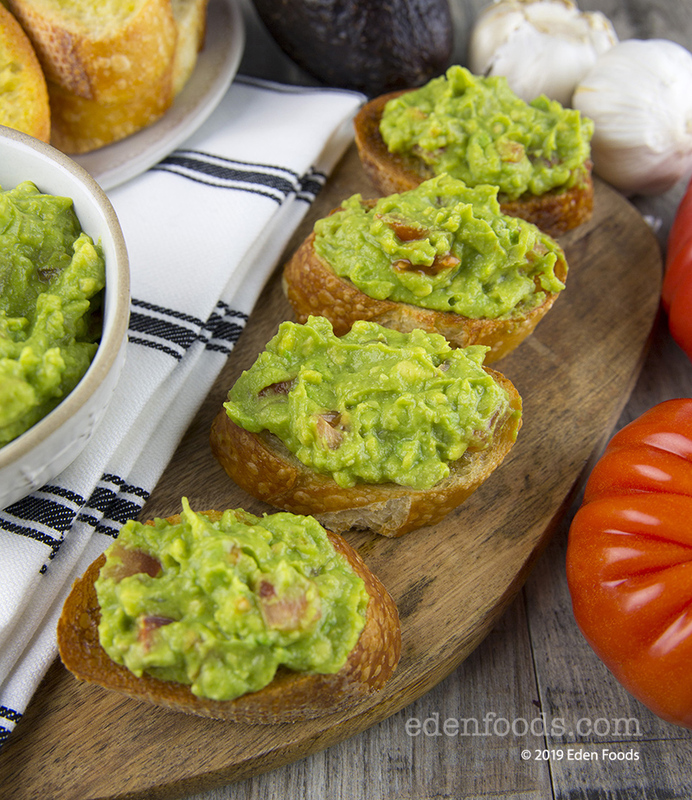 Evenly spread an equal amount of guacamole on each slice and top with a teaspoon of diced tomatoes. Place on a serving platter.